As any homeowner will testify, there are many benefits to owning your own home – you can decorate exactly how you like, have pets if you choose to, make important decisions about the boiler and water tanks that are used, choose the aesthetics of the home - and it goes without saying, you get to keep the house once your mortgage is paid off instead of renting from someone else and paying off their mortgage in the meantime. One of the biggest perks of owning your own home, though, has to be the ability to choose how and when you make home improvements! If you want new doors, you get new doors. If you want to install Stair Klad on your stairs, you can. If you want to paint the fascias on the front of your home, you can. You call the shots! However, while we are all aware that not all home improvements are necessary and are done purely to suit our tastes and preferences, there are a number of improvements that are important to do – and for a number of reasons. Why Do We Undertake Home Improvements? There are a number of reasons why we do home improvements – and not all of them are skin-deep. 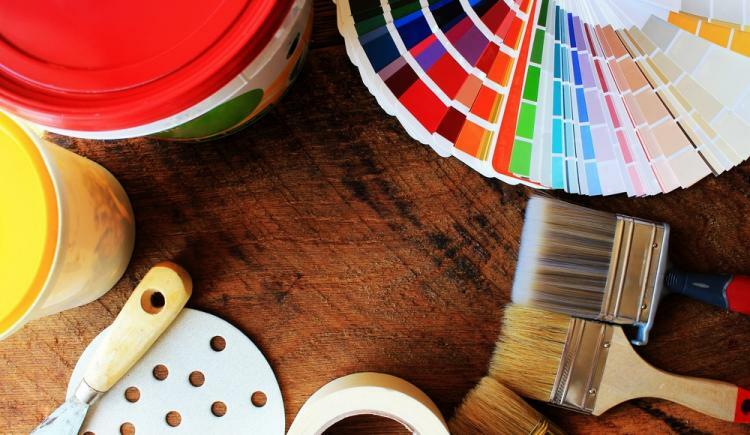 Firstly, improvements that are done well and tastefully can add market value to your home, which is ideal if you know you will be looking to move home in the next year or so. Further to this, regular home improvements and a well-maintained home are much more likely to sell in the future. Second, regular maintenance makes life a lot easier. Say goodbye to that horrible old carpet on the stairs and invest in some solid oak Stair Klad; say goodbye to that awkward door that always sticks in the cold and invest in a modern, smooth-running door; say goodbye to cold rooms and condensation on the windows and invest in some double glazing to save on energy bills as well as avoiding potential damp problems. Little touches here and there improve room functionality, are more aesthetically pleasing and combined with the big renovations that are expected – such as bathroom and kitchen remodels – will add significant overall value to your home. That’s logic you can’t argue with! Where to Start With Home Improvements? With so many different home improvement options on the market, it can be tough to know where to begin. Luckily, we have put together a list of the most popular to get the ball rolling! Here at Blueprint Joinery, we understand the importance of home improvements and are here to help you on your way. Whether you want to know how to install stair cladding, are looking for new doors and bannisters to complete your interior upgrades or are just looking for inspiration, then look no further. Please browse the site, or contact us on 01691 671020 if you need any further assistance while looking to improve your home.